Continuing my walk along the Bay Trail, there was no shortage of water birds on display. The Dusky Moorhen (Gallinula tenebrosa) was nestled down in the grass and hiding in the shadows. The Chestnut Teals (Anas castanea) were all inactive and enjoying some quiet time. This Black Swan (Cygnus atratus) swam up to me. I suspect it associates people with food and does not have any fear of humans. This Little Pied Cormorant (Microcarbo melanoleucos) flew by and I had no time for composing the picture, it was a quick snap and hope for the best. A little way down the path I found it settled on a rock, however as you can see in the picture below, it did contemplate moving on as I approached. Once I had the photo I wanted I continued on and it relaxed. As I continued my walk a Yellow-billed Spoonbill (Platalea flavipes) flew by however the photo I got of it in flight was blurred. However, I did manage a shot of it landing. Last Friday, I was able to visit the Jawbone Conservation Park. Weatherwise, I could not have picked a better day. After a week of dull grey skies, Friday was the complete opposite – bright blue sky and warm autumn sun. I entered from the carpark at the intersection of Maddox and Kororoit Roads and headed east along the Bay Trail. Paisley – Challis Wetlands Stormwater Drain – iPhone image. A pair of Black-winged Stilts (Himantopus himantopus) were feeding in one of the wetland ponds. (Himantopus himantopus) feeding in a wetland pond. 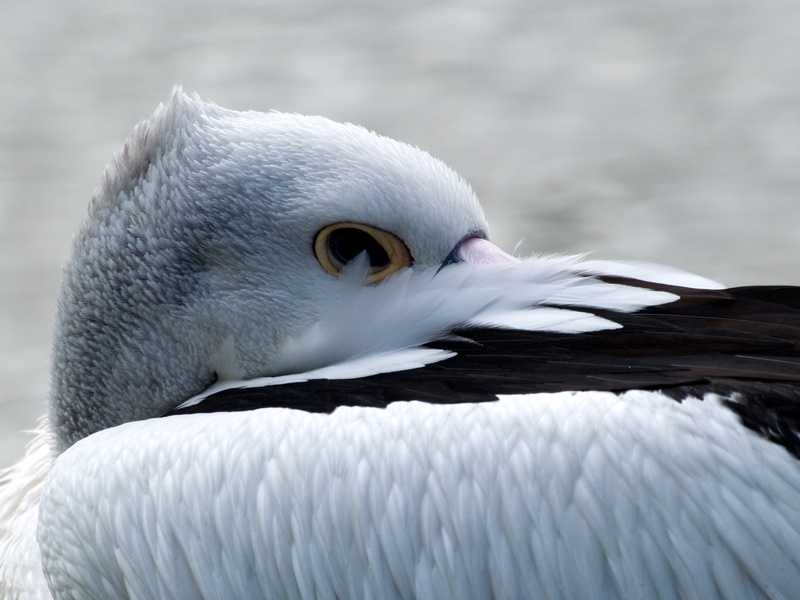 A Royal Spoonbill (Platalea regia) – Preening under the watchful eyes of the Australian White Ibis. Further down the trail, a Little Pied Cormorant (Microcarbo melanoleucos) was busy diving for his dinner. There are too many photos I wish to share so I will save them for future posts. 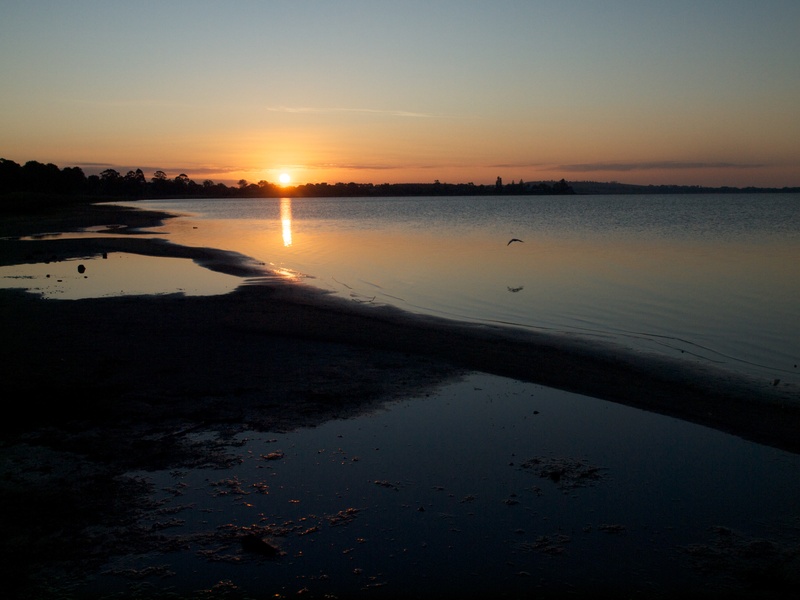 Lake Corangamite, situated on the volcanic plains of western Victoria, is Australia’s largest permanent salt lake. At one stage its water was five times saltier than the ocean, however after good rains last year it is now considered to be as salty as the ocean. From atop Red Rock, a sleeping volcano, you over look the lake to the west. From that point there are also good views of the volcanic craters. 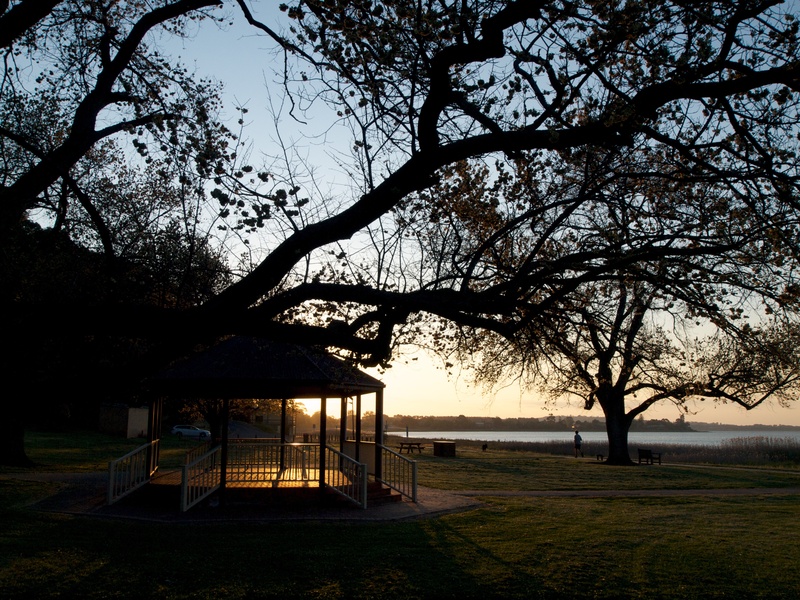 Lake Corangamite has never been dry, however, with drought conditions over the past decade or more, the water level has receded. Good rains last winter has ensured the waterline has expanded by about 100 to 200 metres. 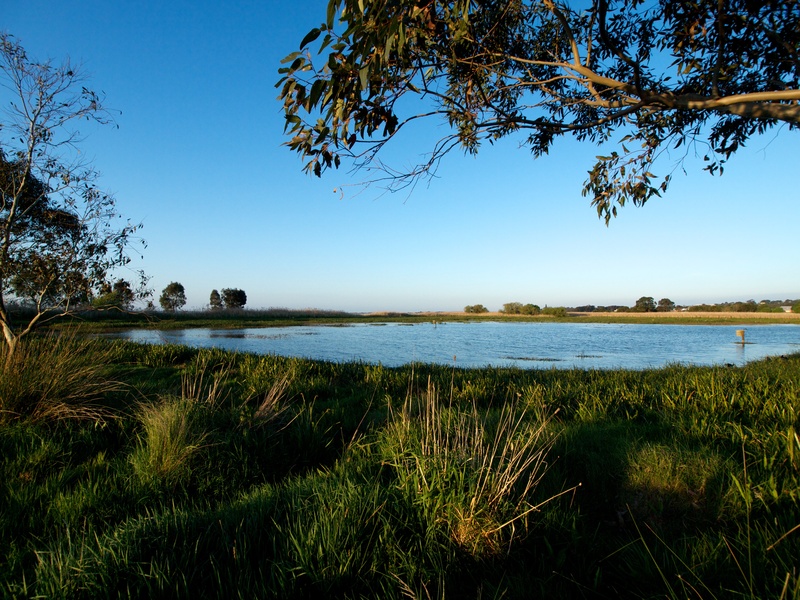 Lake Corangamite is one of nine Ramsar wetlands listed in the area. 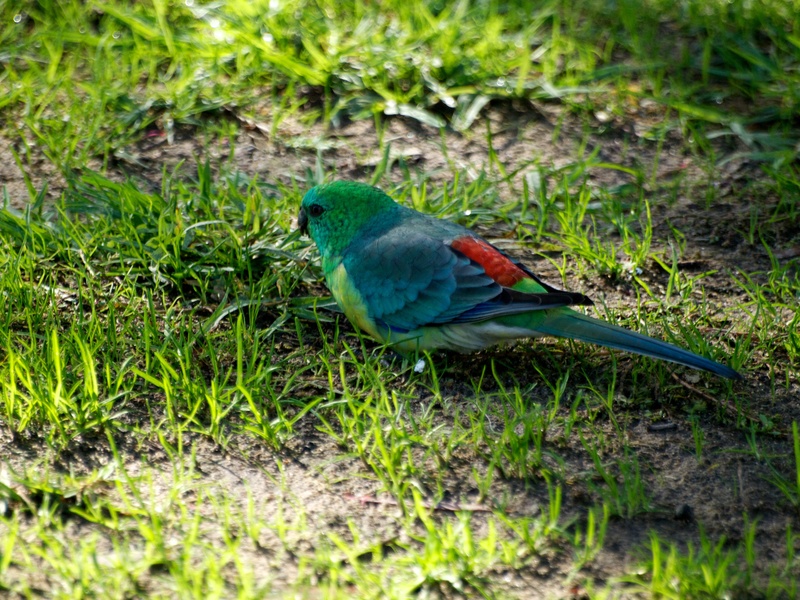 It is considered a vital part of the environment and to birdlife. The other day I made my first visit for 2017 to Jawbone Flora and Fauna Reserve. I find this Reserve a good spot for birding – especially waterbirds. On entering the Reserve, my first sighting was the juvenile Black Swans (Cygnus atratus) sleeping in the reeds. There was a strong cool breeze blowing and the reeds gave them protection. Most of the birds were inactive, the Pied Cormorants (Phalacrocorax varius) were busy preening while others were content to look on. 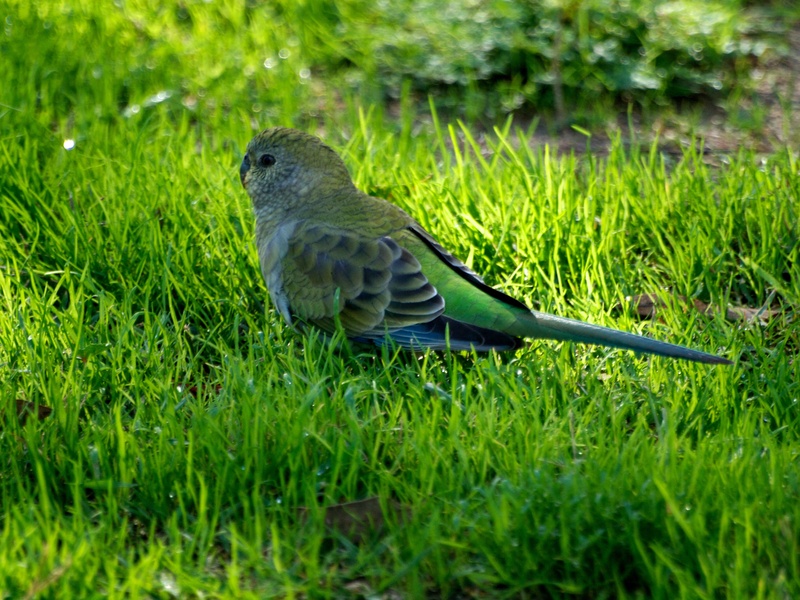 If travelling to Melbourne I can highly recommend a visit to Jawbone Flora and Fauna Reserve.